Searching the internet can be a very efficient and effective way to land your next job. However, without planning, focus and knowledge of the best sites to use and how to conduct your search, it could be grueling, overwhelming and a huge time waster. Before getting started, determine what you need. The “best” websites are relative to your situation and determined by what you want to get out of them. The following are websites that range from comprehensive sites with job openings and a plethora of advice on things like resume writing, interviewing and salary negotiation to websites that meet specific needs, such as job openings in specific career fields, in specific locations and with varying work arrangements. Finally, regardless of which sites you plan to use, at the end of this article there are a few recommended rules of the road to get the most out of these resources. Aggregator job boards are search engines that compile posted job vacancies from many sources and provide you links to the sources where they appear, just like you get when using search engines like Google, Bing and Yahoo. The sources of the postings may include newspapers, company websites, job boards, recruiter sites and more. The most popular sites, http://Indeed.com; http://simplyhired.com; http://careerbuilder.com and http://Monster.com are aggregate sites that save a lot of time. By using one of them, rather than combing through many different web sites to find job openings, you can spend that time on something else like preparing for interviews or face-to-face networking. On the downside, aggregator users must be very careful of duplication. If the same job is posted on multiple sites (e.g. the company web site, the newspaper and a recruiter site) it will show up multiple times in your results). Also, you will need to narrow your search terms (multiple skills sets instead of career fields and zip code instead of city) to limit the potentially voluminous results. Job hunters interested in federal work can visit the go-to site for federal jobs - http://USAJOBS.gov. This site is the official website for listings of job vacancies at all federal agencies. USAJOBS also contains a resource center for veterans, military spouses, individuals with disabilities, students and recent graduates. While USAJOBS is operated by OPM, the Department of Labor sponsors http://careeronestop.org by directing job hunters to more localized job openings. It also has extensive tools to help assess your skills, explore career fields, find and obtain education and training, research wages, trends, the local job market, state resources and much more. There are also several websites that are more specialized based on the type of work arrangements you want. For example, http://Idealist.com focuses on non-profit & volunteer work while http://Internships.com provide paid and unpaid internship opportunities. The site http://flexjobs.com is a paid subscription-based service that provides telecommuting, part-time, freelance and flextime job leads. Social media plays its part in the job search world too. At http://LinkedIn.com job hunters can create a professional profile that serves as a resume and a tool to connect with other colleagues in their career field. They can also search listings posted by employers and investigate potential employers. At http://Twitter.com job hunters can use micro-blogging in conjunction with other web sites and search engines to find contacts and make connections. Also, many companies tweet their open positions using hashtags of company names, positions, locations or a combination thereof. Savvy job seekers use Twitter to build their personal brand as subject matter experts, interact with others in their career field and share links to their professional work. Job hunters should also use sites that offer advice on the basics of conducting a job search. Most of the websites mentioned here provide some degree of help with resume and cover letter writing, job interviewing and salary negotiation through blogs and regularly posted articles. Limit your time online. Take what you find and apply it in the real world. Go offline and meet networking contacts face-to-face, for example. Set up and save search criteria that can deliver results to you inbox daily or weekly. Store your resume on the site to apply quickly to vacancies you discover. 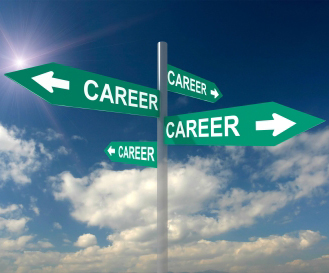 Find a site or two that is specific to your career field. Examples are http://dice.com for technology; http://mediabistro.com for journalism/media-related jobs and http://higheredjobs.com for positions at colleges and universities. Use a variety of online resources: Job aggregator sites, state and federal websites, social media, and career-specific sites.